We knew it was coming but today it's official: Rockman content is headed to Breath of Fire 6. 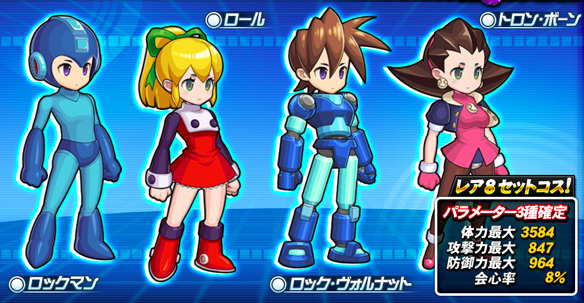 A total of four costumes will begin distribution on September 13th - Rockman, Roll, Rock Volnutt and Tron Bonne. The costumes offer players a boost in stamina - up to 3500 - and a significantly increased attack and defense. This campaign (and Breath of Fire 6 itself) remains exclusive to Japan. But hey, don't let the stop you from enjoying some artwork! Hit the jump below for a closer look at these duds! A little over two months after Mighty No. 9's initial launch, the game is finally available to download on Mac and Linux. If you've been waiting for these versions, you can grab them on Steam. DRM-free versions are reportedly in the works, too, bound for Humble Bundle as "soon as they are ready." Still no word yet on the 3DS and Vita versions, though. Keep on waitin'. If you're looking to pick up Mega Man Legacy Collection on PlayStation 4 or Mega Man 9 & 10 on PS3, then the latest Humble Bundle is genuinely worth a look. It's been a little while since we last checked in with Team MMBN3D. Fortunately, good news is afoot! Work on Mega Man Battle Network 3D continues... and there's going to be classic local multiplayer available from day one. 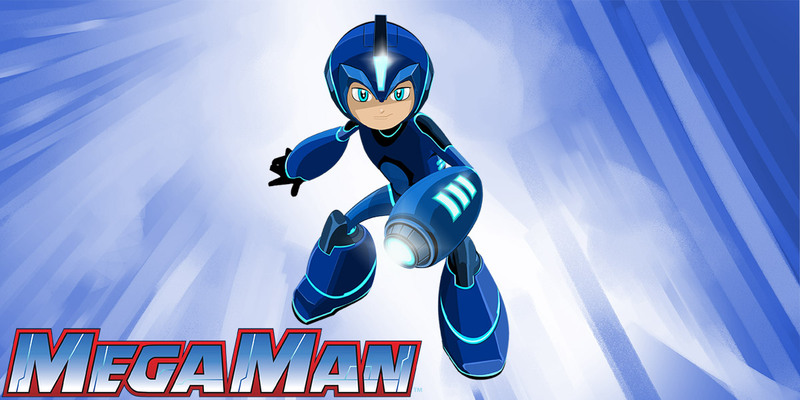 Mega Man proof-of-concept projects are awesome. Case in point: this neat (but tiny) HD Battle Network experiment. 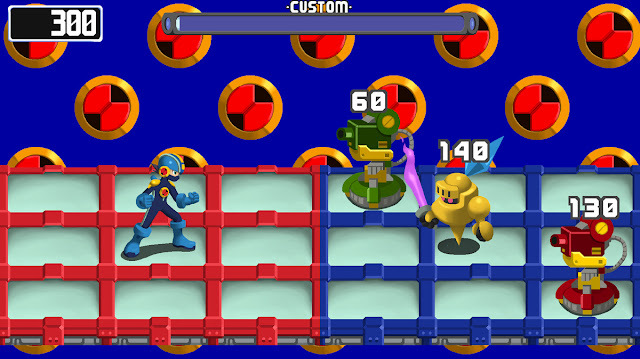 Developed by PixelSprite, the bite-sized concept explores how Battle Network's tried and true battle system would look and feel in high-definition. You can download it from PixelSprite's Game Jolt page here. There's six different battles to play, each with their own unique Virus sets. It's worth mention there is no guarantee this project will expand into a fully-fledge HD remake. For now, though, enjoy the possibilities. 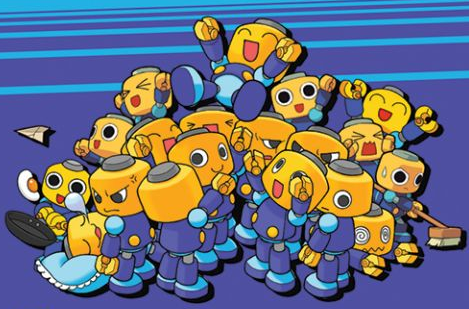 It's everything that *should* be happening this year for Battle Network's 15th anniversary. 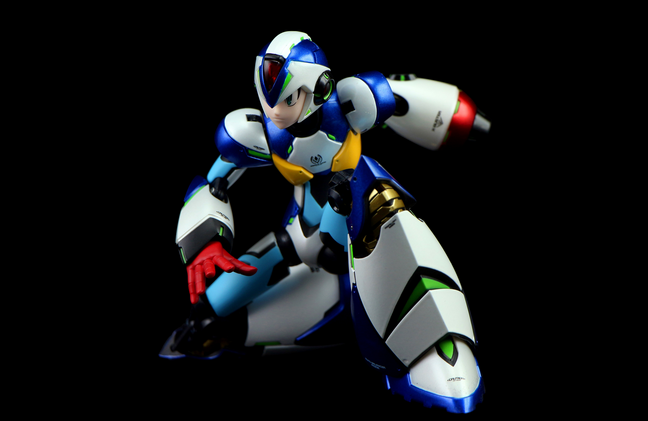 The San Diego Comic-Con exclusive X-Boost figure is now available to purchase directly from TruForce... for $500 big ones. But wait! If you backed the figure on Kickstarter way back when, you have the opportunity to shave off a cool 82% and get it for $90. To take advantage of this backer-exclusive deal, see the coupon code that appeared in the latest e-mail from the campaign. You should have received this e-mail as early as August 12th. Once you've got the code, enter it at checkout. It's good for the next two weeks! Do note pre-payment is required to purchase. 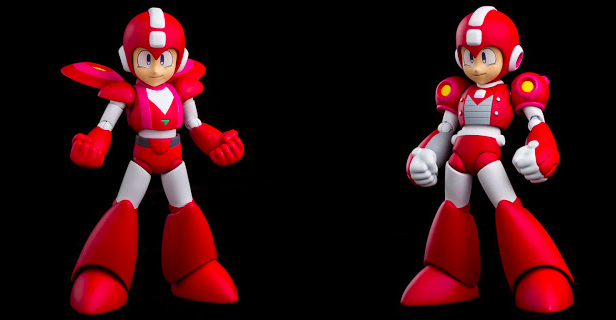 Your figure will ship out as soon as TruForce receives their remaining quantity next month (around mid-September). All in all, a pretty good deal! Get on it ASAP. 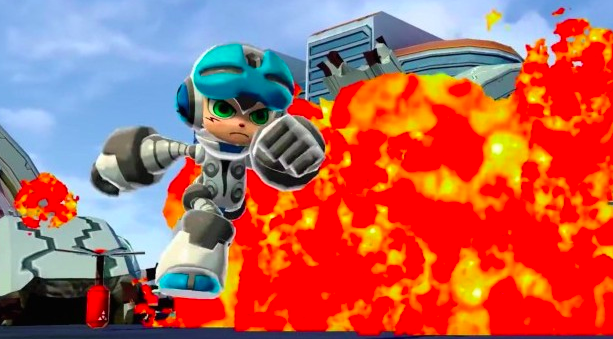 It's been a solid five years since Mega Man Legends 3's untimely demise. For those wanting to relive the journey, Get Me Off just launched a near-half-hour documentary covering the entirety of Mega Man Legends 3's short life. From its inception and cancellation to the founding of the Get Me Off the Moon community itself, no stone is left unturned. I applaud the efforts of everyone who put this together - it's very well done and incredibly civil. Despite all that has transpired these last few years, the GMOTM community remains positive and diligent. Small they may be, there's grace in the efforts. 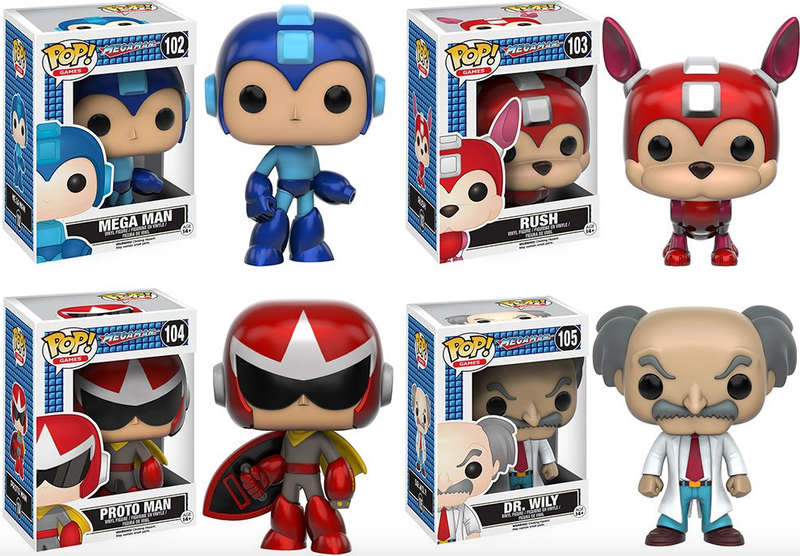 Funko's long awaited Mega Man Pop! Vinyl line is now available across North America. You can find From Amazon to Hot Topic, there's more than one outlet to grab these little guys. 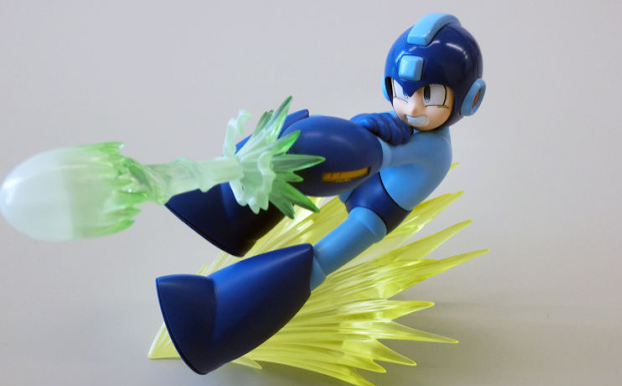 GameStop-exclusives Ice Slasher and Fire Storm Mega Man variants are out, too. You can get these online or in-store. It might be wise to call or check availability before you make a trip, though! No telling how limited these are. Hey, got a Japanese PlayStation Network account? Need to burn some Yen? Look no further, friend! 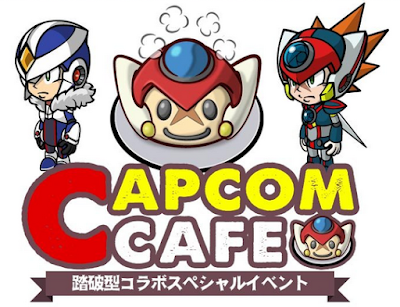 Capcom Japan just launched a 60% off sale for four PSP Rockman titles: Rockman Rockman, Irregular Hunter X, Rockman DASH and Rockman DASH 2 (w/Episode 1). All four games are down from 700 Yen to 315 Yen ($3.11 US) until August 22nd. 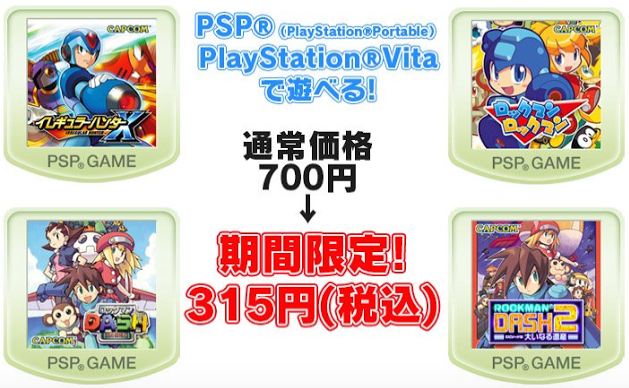 You can play these games on PSP, PlayStation Vita and even PlayStation TV/Vita TV. This is a great opportunity to snag up the DASH ports and a digital copy of Rockman Rockman (which remains entirely absent on both US/UK storefronts). Grab 'em while you can!